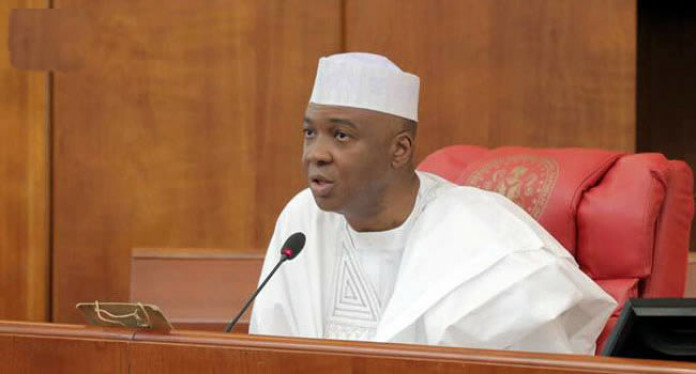 Since the National Assembly elections ended in Kwara on March 9, and the current Senate President, Dr Bukola Saraki, lost at the polls, those who have lived in mortal fear of one of Nigeria’s finest Senate Presidents ever in history, have not relented in their infantile attacks against a man, who against all odds, wrestled official tyranny to the ground and eventually became one through whom God has preserved what is now our fragile democracy from being turned into a full blown dictatorship. They have unleashed all manner of media attacks against the one popularly called “Oloye” by his fans, using pliable men who are obviously satisfied with being slaves, even though they are and should be living as freeborn, as long as crumbs fall for them from their slave master’s table. To prove that Saraki was nothing but only a victim of his own rightful ambition, those who are bitterly persecuting him today under one concocted anti-corruption guise or the other, are merely doing so because they could not stand the audacity of his ambition to be Senate President against the overbearing wishes of the “Bullion Van Hawker of Bourdillon” and his coconspirators in the seat of power. O, they wailed, they wept, they convulsed in extreme anger and could not believe that Saraki, (who used to be) a member of their party, who also had the legitimate right to be SP, beat them to the game as a master and battle-hardened politician that he is. From then on, they marked him for destruction but he conquered them all to their dismay. Every trap set against him was neutralised with his soft speaking nature and deft political moves. He navigated their mines expertly, handling the affairs of the National Assembly with so much class that no weapon fashioned against him in the last four years thereabout prospered. Despite being distracted with spurious court cases, phantom corruption allegations, none of which could be proven in court till tomorrow, official harassment, intimidation and desecration extending to the national assembly as an institution just to weaken and humiliate him, Saraki still kept the senate together, and will be stepping down in great glory as the “Senate President no one could remove”. No matter what anybody says, the fact remains that Saraki will be leaving the senate as Senate President on his own terms. The ignominy which his traducers tried their best to rub him in did not work. He was one Senate President who walked through the valleys of the shadow of death and feared no evil, for, indeed, God was and is obviously still with him. He was professional in his approach to duty that not even for once did he allow his persecution by the executive negatively affect his sense of patriotism in the discharge of his duties. When passage of budgets has been delayed, it was because the executive either padded the budget with mind boggling figures or that the ministries and MDAs were nowhere to be found to defend their estimates. Because they have a leader who is either bereft of ideas of how the legislature works or he still sees himself as a military dictator who must not be subjected to another institution as president, they expect the national assembly to just pass the budget “as is”. Saraki frustrated their plans to turn the national assembly to just another appendage of the executive arm, or, into a mere rubber stamp. The Senate under him have enacted laws and passed Bills that have far reaching positive effects on our polity. Saraki might not have won his last election, he is a victor anyway. No man passes through what Saraki was subjected to by members of the executive, survives and still see himself as a loser! Sadly, the real losers are those who won elections in Kwara at Saraki’s expense but lost their soul and beholden to tyranny in the process. With the incessant killings, rise in terrorism, hardship, continued displacement of communities by criminal bands, extra judicial killings by security forces, perpetually rising inflation, job losses in millions, Nigeria becoming the poverty capital of the world etc, to the extent that even the wife of the president had to, in order to exonerate her husband from the mess our nation has become under Buhari, confess that it was no longer her husband that was in charge but about three others, these hack writers see nothing in any of the nation’s misfortunes to address but their headache is a Saraki they love to hate because he beat them to their own game and that of their masters to become the Senate President. This is where victory is tragic, for those who celebrate the ephemeral triumph of gross incompetence, ineptitude and the embarrassment our nation has become since 2015, by chasing shadows and leaving substance behind just because, to them, the country may collapse as long as they keep getting peanuts for attacking Saraki, it is most unfortunate and the misfortunes of a degraded nation is their lot! As for Saraki, he has fought the good fight of faith. Yes, faith, because faith demands that we must stand up to tyranny even if just to prick the conscience of the tyrant and constantly remind him and his foot soldiers that all faiths abhor the vindictive imprisonment of citizens for their political and or religious beliefs as we currently have today. He can go home with pride knowing full well that when our nation was at its lowest ebb, post civil war era, he stood up to be counted among the few who used their status and political office to engage tyranny and dictatorship in a head on collision and left the senate unscathed. He is, by all standards, a fulfilled man, a winner!